We felt a great deal of disappointment and frustration at being denied access to Gaza, which is what we came to do. On 12-29 one of the major rallies was when 85 year old Jewish holocaust survivor Hedy Epstein announced a hunger strike, which inspired some 29 others to join her for up to 5 days. See N.Y. Times article: http://www.nytimes.com/2009/12/30/world/middleeast/30Egypt.html?emc=eta1. 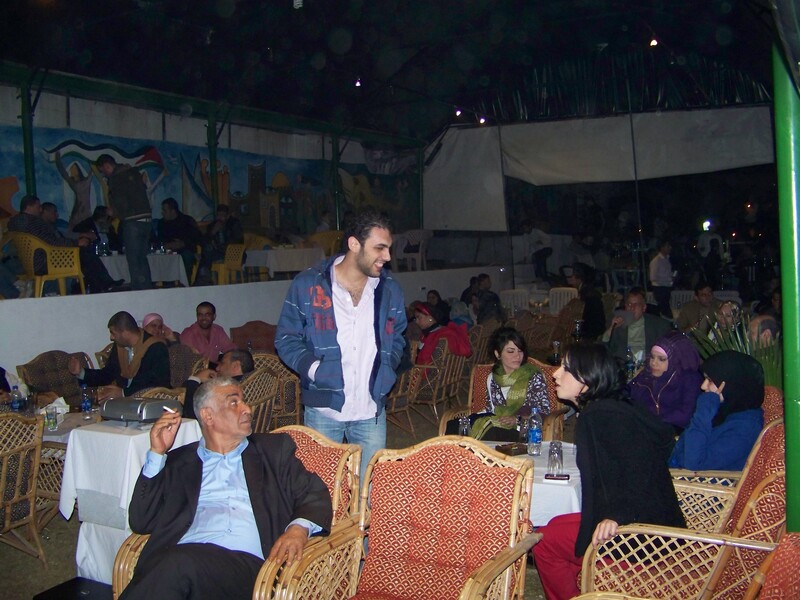 Hunger strike rally, at Cairo’s Journalist Syndicate building with Hedy in pink scarf and Yusif in Palestine head scarf, on December 29, 2009. A couple of the 30 hunger strikers included Kim Redigan and Sheri Wander. I was standing two people away from Hedy in the N.Y. Times picture. A few minutes later, I was handed the microphone as I stood next to her and admonished the Egyptian government, in both Arabic and English, for their collaboration with Israel and called them traitors to Palestine, humanity and the Arab cause. I said that Hedy is one of the last Jewish holocaust survivors and that I am one of the last Palestinian Nakba (disaster of the 1940’s) survivors…that we are both a dying breed. We must keep the memory of both alive, so that the world does not forget both holocausts,and hopefully, end the one in Palestine! I also thanked Hedy and all the courageous Jewish friends for their standing up for justice in Palestine! It’s curious that the New York Times chose to exclude me from the picture and did not report anything I said! Two days earlier, on 12-28. Ahmed called me to tell me that a picture of me, in the midst of a lot of people, was in the Egyptian newspaper, Al Masry Al Youm (Egypt Today) Issue No. 2024, Vol. 6, page 5. I quickly ran out to get a copy, but could not find a picture of me or the article anywhere in the paper. It turns out that they removed the article, with the picture of me, and replaced it with a totally different and unrelated article on the same page 5 and on the same day. The new article was exactly the same shape and size, but had nothing to do with Gaza Freedom March! This was my first indication of what the Egyptian government’s ability to censor, quash and block coverage of our attempt to get to Gaza. See scanned before and after articles or try English version on: http://www.almasryalyoum.com/en. By Tuesday night, 12-29, my team met to decide what we should do next, if we should continue the civil disobedience and discuss our options. I went to bed at 1 am that night feeling helpless and hopeless (a feeling I’ve become accustomed to when it comes to the Palestine issue). At 2 am my hotel room telephone rang and one of my team-mates was shouting in my ear—“You’re going to Gaza!!! —You’re going to Gaza!! !” At first, I thought I was dreaming. They all rushed to my room and told me that Suzanne Mubarak (Egyptian President, Mubarak’s wife) persuaded her husband to allow 100 people to go to Gaza. This was thanks to some Code Pink women meeting with her. As she is chairperson of Red Crescent Committee this decision was likely made so they could take the humanitarian aid (food, medication, clothing, children’s toys and other relief items) that were brought to Cairo for that purpose. They showed me, my name on a list, as one of the 100, which came through on Bella’s Blueberry. Needless to say, I spent the next several hours packing, half groggy, wondering if this was some kind of hoax. 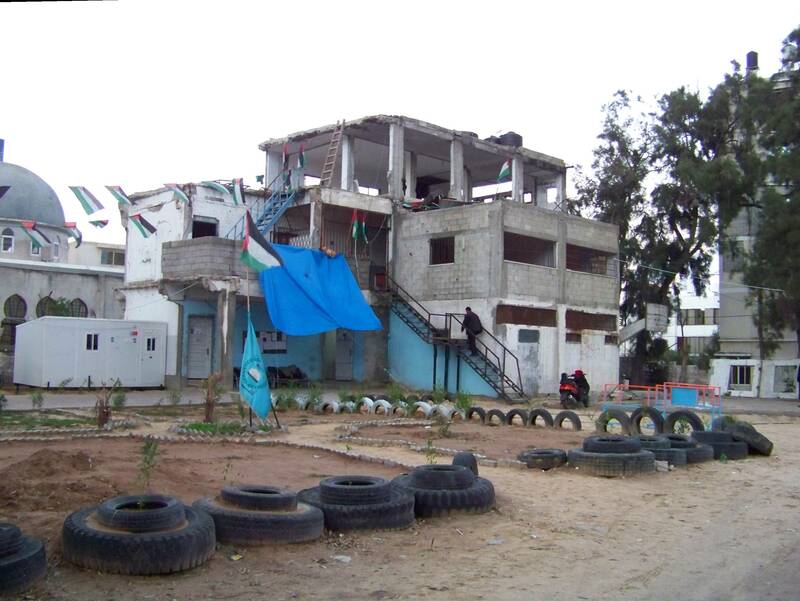 At 7 am, Wed., 12-30, I was the first one sitting on the bus, eager to go to Gaza. Suddenly, the mood changed from jubilation to gloom, when it became clear that some of the larger delegation of 1,362 internationals were objecting to our going! Some of them were standing on the sidewalk, alongside the bus, declaring that “if we all can’t go, then none of us should go”. Sample of signs objecting to the 100 delegates chosen for the Gaza trip. 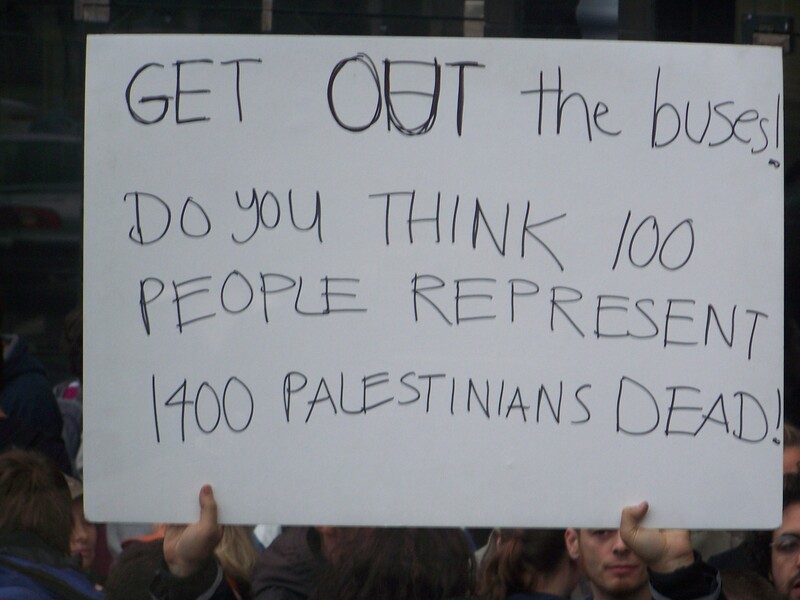 Signs were paraded outside of the 2 buses scheduled to leave for Gaza, from Cairo, on December 30th, 2009. This to me was reminiscent of the British, now American tactic of “divide and conquer, divide and rule”, which was practiced throughout the Middle East over the last 100 years. Some felt betrayed (and rightly so) and some felt that this is a sell-out, a carrot on a stick to appease the international community and relieve the pressure on the Egyptian government. While all those are valid points, I felt blessed to be selected as one of the 100 people, and I wanted to deliver all the humanitarian boxes of supplies to the needy people of Gaza, that otherwise would have been left in Cairo to rot. Until the moment that the two buses left the depot at 11:30 am I was never certain that we were going to be allowed to leave. Some of the original 100 people left the bus, while others came on. For awhile it felt like the game “musical chairs”. Finally, the two bus caravan was on the way, with 85 internationals, escorted by heavily armed military police. During the journey from Cairo to Gaza Egyptian security surrounded the buses that carried the Gaza Freedom March delegation through Egypt to the gates of Gaza. There were a lot of delays on the road and at the border crossings. We finally arrived around midnight, ate dinner in the hotel and then were shuffled to our rooms. In Gaza, I felt a bag of mixed emotions, blending the joy of being with the people and hearing their stories and the frustration of the tight control by Hamas preventing us from really moving around and mixing with the population. We had many memorable moments, like the fishing boat ride (January 1>st) which showed us the tight death grip Israel has on the coastal waters of the Mediterranean Sea, preventing the fishing boats from getting the fish they need to earn a living and feed the Gazan people! Israeli gun boats were constantly in view and have been known to shoot at and confiscate boats that are within their rights to be within 10 kilometers of the shore. This is aside from the sewage that is being forced to be dumped in the sea that is polluting the beaches and surrounding waters. 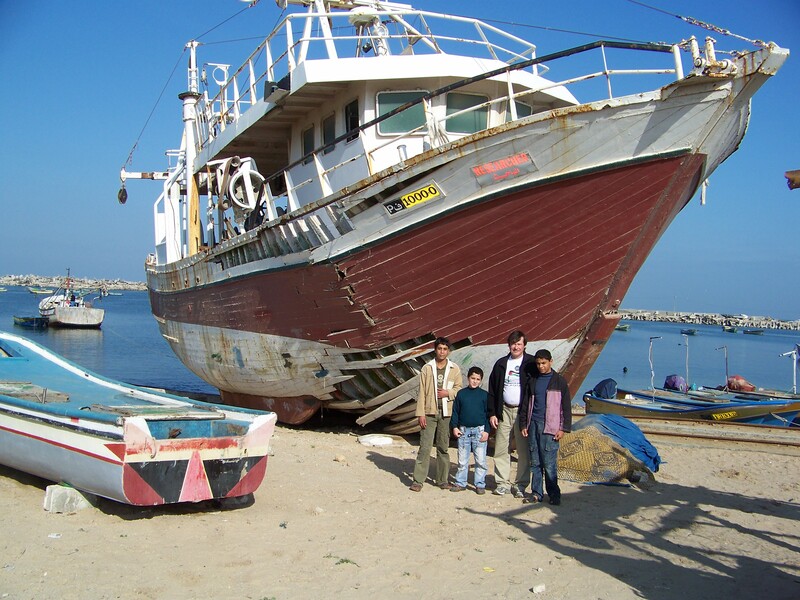 A badly damaged fishing boat with four Gazans, January 1st. I saw other boats that were riddled with bullet holes. We were taken to see the destruction from the Israeli raids that demolished homes, the airport, schools (including the American school), police stations and other municipal buildings, factories, Mosques, the United Nations headquarters, homes and other infrastructures. None of these buildings have been renovated as the Israelis deny the admission of supplies and materials to allow for reconstruction. What little comes in through the underground tunnels, is sporadic, problematic and costly. The resilience of the Gaza people is a study in endurance and hope. It is also a model of what can be done in recycling. We saw so many places that were recycling cement, iron, paper and so many other resources for reuse in the community. Unemployment is nearly 70 % and the demolished factories and work places continue to lie in rubble! The threat of flooding the tunnels constantly looms as a possibility! 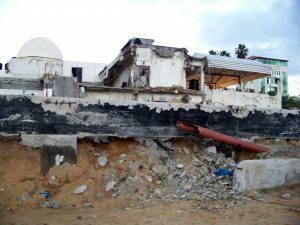 Egypt building an iron wall on their border with Gaza is also threatening an already beleaguered community. This underscores and exposes the unholy alliance and collaboration between Israel, Egypt and the U.S. This highlights the urgency and the dire crisis that is in Gaza and all of Palestine. While in Cairo I authorized my name as co-signature to be used in a law suit to prevent the building of the iron wall. Shortly after that, I left for Gaza and have not been able to find out the outcome of that attempt. See EGYPTIAN WALL LAWSUIT on Gaza Freedom March’s web site. 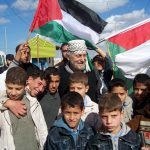 A Gaza Freedom March (GFM) did take place, on the morning of December 31st, involving hundreds rather than the hoped for 50,000 on the first anniversary of the Israeli offensive into Gaza. Hamas kept a tight lid on those who marched and did not allow anyone other than Hamas participants, excluding local women and people from the civil society and opposition parties There were a few women from the native population that were kept in vans during the march. I was told this by the women from “Code Pink” leadership. These women, who told me this, also said that they forced the vans open and allowed the women to march at the dismay of the Hamas authorities. It is important to note here and dispel the myth and misunderstanding about Hammas. Hammas was supported and encouraged by Israel in order to form a wedge with Yasser Arafat and the Palestine Liberation Organization (PLO). 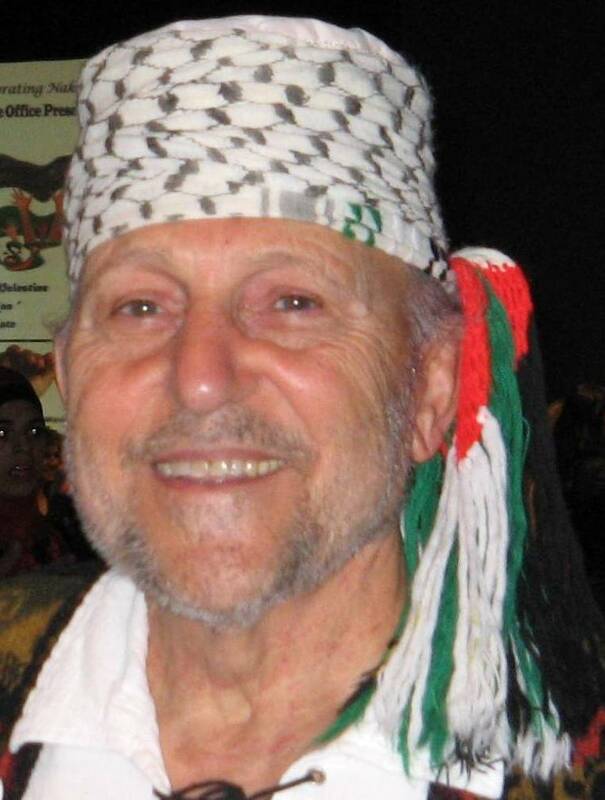 Hammas grew and gained popularity with the Palestinian people and actually won the last election in Palestine. Hammas won the election in all of Palestine, not just Gaza. It was a legitimate democratic and fair election, as testified to by former President Jimmy Carter, and other international observers. Because Israel and America refused to recognize Hammas as the new government, they encouraged an attempted coup to destroy Hammas. 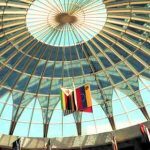 However, Hammas thwarted the coup and declared itself as the government of Gaza… At that time all money and assistance to the Palestinians was withheld and the current circumstance was solidified. So much for “Democracy and free elections”! 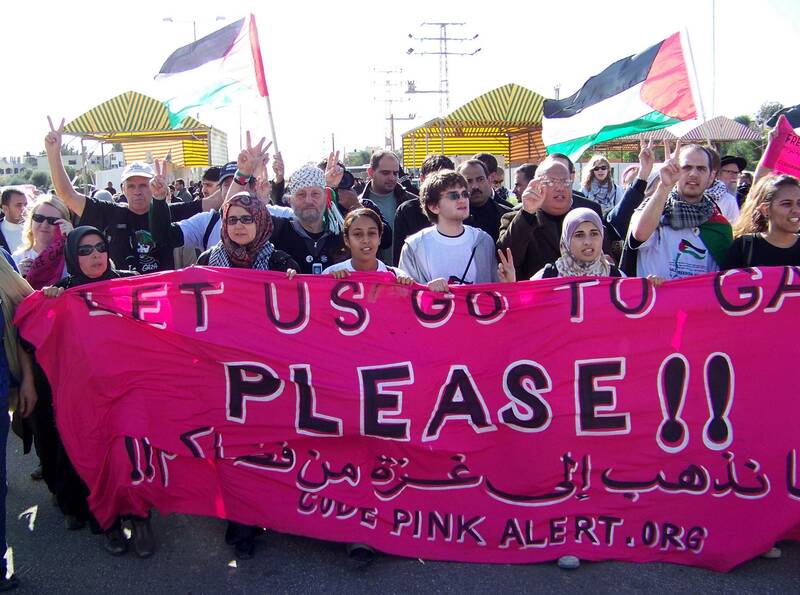 Yusif, behind the banner, with women and other Marchers, in Gaza City, on December 31, 2009. During the March I was combining marching with the group along with running ahead to take pictures. I would photograph the March to the end, then run ahead to march and then take more pictures. During the process I must have run 5 kilometers! It’s a good thing that I am a seasoned runner—even though it has been nearly a month since I have done any exercise,other than climb a few stairs. 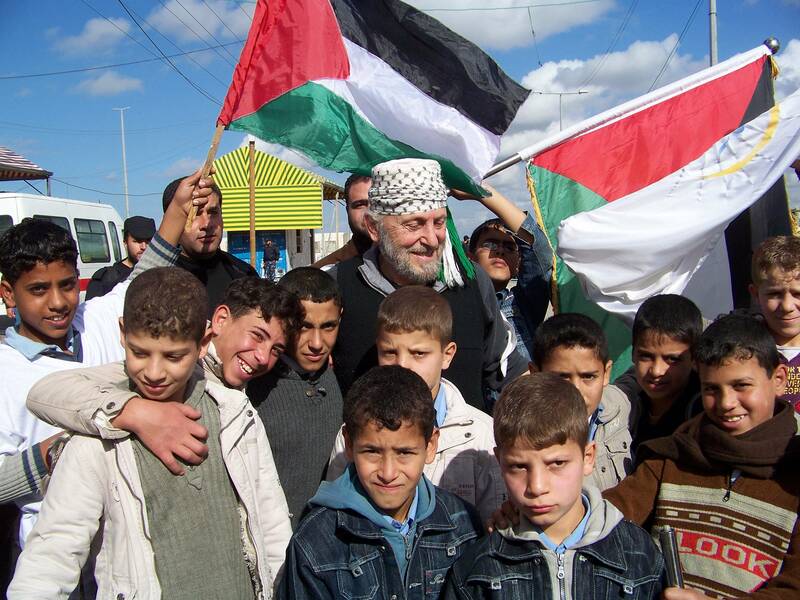 Yusif surrounded by joyful Gazan boys during the March. Another high-light of the March was a group of four Orthodox Jewish Rabbis, whom we picked up on the bus on the way to Gaza. They had signs signifying that Judaism has been hijacked by Zionism and that Israelis are criminals for illegally stealing the land from Palestinians. Their position is that the Torah forbids Judaism from having a State and that they want to return to the days of living in peace with Jews, Muslims and Christians, as they had done for thousands of years! 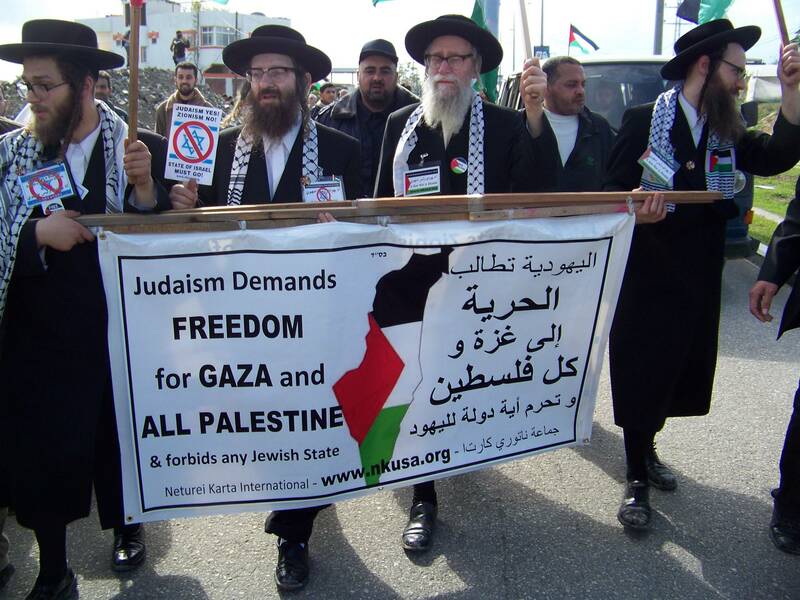 Orthodox Jewish Rabbis (from Neturei Karta) in the March in Gaza City, on December 31, 2009. 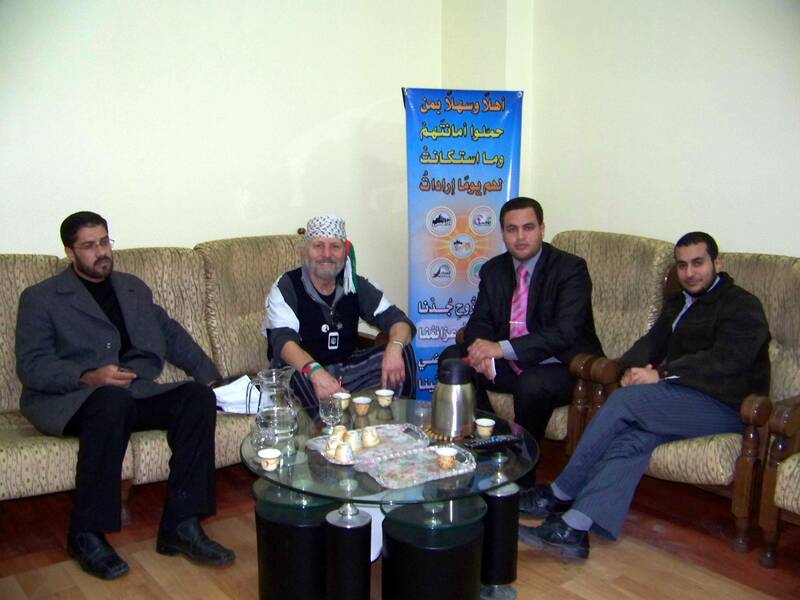 I told the Rabbis of the Arabic expression that says: “Free Palestine from Israel and free Jews from Zionism”. They were so thrilled with that expression that they asked if they could use it again. They even wrote it down so they would not forget it. A lot of attention was focused on the Rabbis during the March and the press conference. 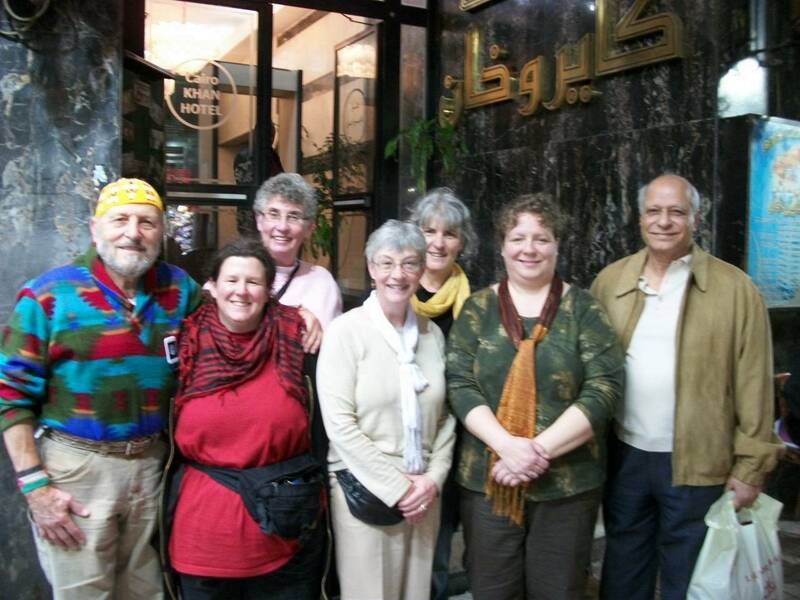 I spent a lot of time with them, and they, at times asked me to translate what they said into Arabic, for the audience. Here is the link to their web site http://www.nkusa.org/ as these Orthodox Jewish Rabbis (from Neturei Karta) have a unique view on Palestine. I would also recommend that you check out: 1) “Orthodox Jews Demand End to Zionist Atrocities in the Middle East” (July 18, 2009-New York) and 2) the speech delivered by anti-Zionist Orthodox Jews on December 27, 2008, in New York City. My picture standing next to them appeared on the front page of the local newspaper “Palestine”, which is published in Jerusalem and smuggled into Gaza. The Arabic word for Palestine is “Felesteen”, which is used for the web site to that newspaper. To see this front page of this article click on: http://www.felesteen.ps/file/pdf/2010/01/01/1.pdf. 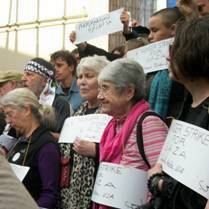 The March culminated in a press conference covered by a variety of international media. I was included in the program and had a chance to speak in both Arabic and English. I offered support and encouragement to the people and let them know that they are not forgotten. I told them that there were 1,362 international people who came to Cairo; that people all over the world are supporting them and are working for their freedom. I was also whisked to the local T.V. station, “Al Aqsar”, and put on the news program which was broadcast live, in Arabic. There was another young Arabic speaking lady Nura, who also went to the station and was interviewed on a local program..
Yusif in the lobby of “Al Aqsar” T.V. station waiting to go on live newscast, December 31st. performing on stage, and a celebration, bringing in the New Year. This included Arabic music and singers along with an underground “Hip Hop rap group” who rapped in Arabic to the amusement and amazement of hundreds of people including the local Gaza community and the internationals. Several of us were invited to the stage and we each made comments about our mission and gave encouragement to the community. The rest of the evening, a few of us danced with the local population. I had a chance personally, to mix amongst dozens of tables as community members were eager to talk to me, in Arabic, as we asked each other questions and exchanged views, feeling and ideas. Here is a sample of the audience during the New Years Eve event where we joined the locals in song and dance.